ALL-NEW ARC! ALL-NEW JUMPING-ON POINT! "THE BOOK OF THE DEAD" - PART ONE! Plus: Magic and the Bloodshot Squad lead an assault on OMEN for the rescue attempt of a lifetime! 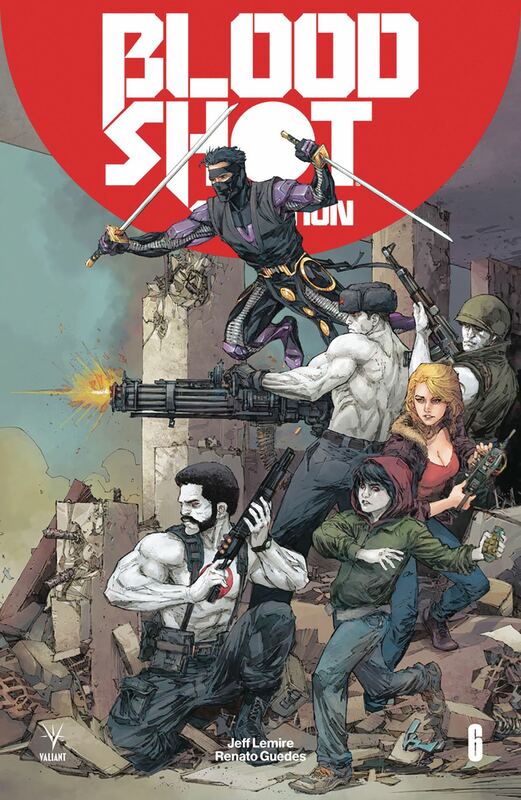 A wrenching new chapter for Valiant's powerful series starts here as New York Times best-selling writer Jeff Lemire (Black Hammer) leads Bloodshot to the precipice of loss, grief, and retribution - featuring fully painted interior art by sensational rising star Renato Guedes (X-O MANOWAR)!